for Haddock, Cod, Ling, Pollack and more! 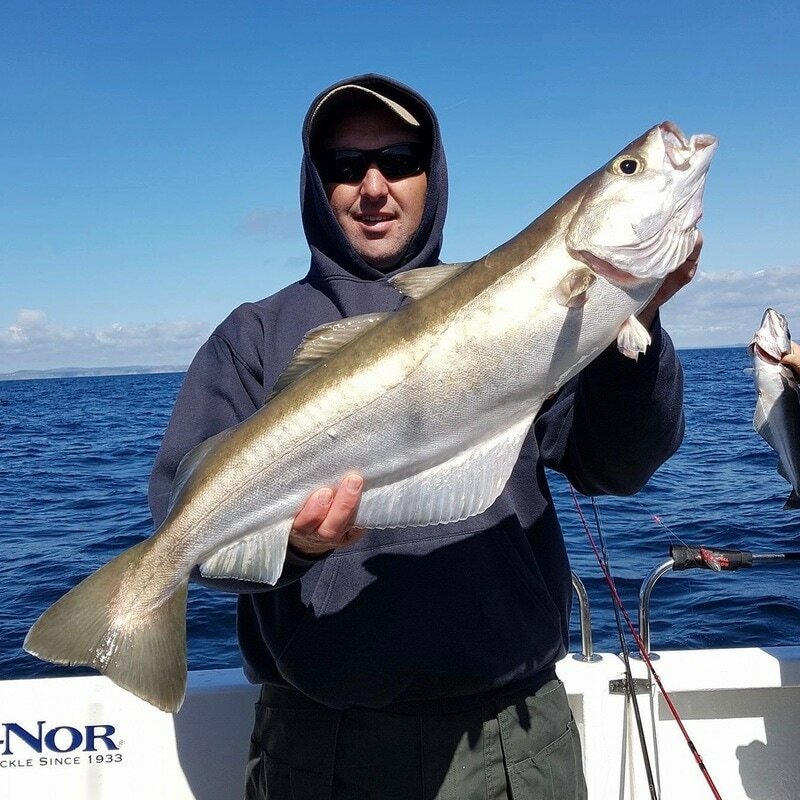 Winter fishing trips start in November and run until the end of March. 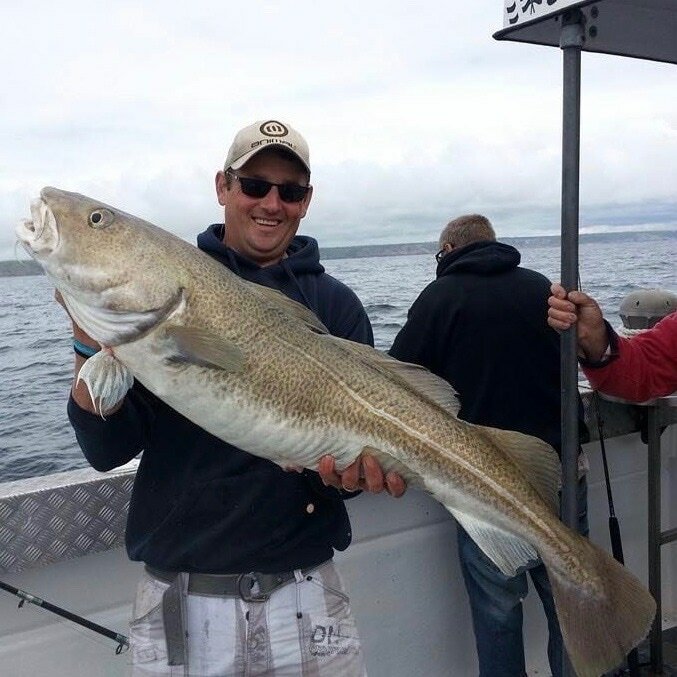 They have proved a real hit with our clients and succesfully extended the Cornish the boat fishing season for anglers. 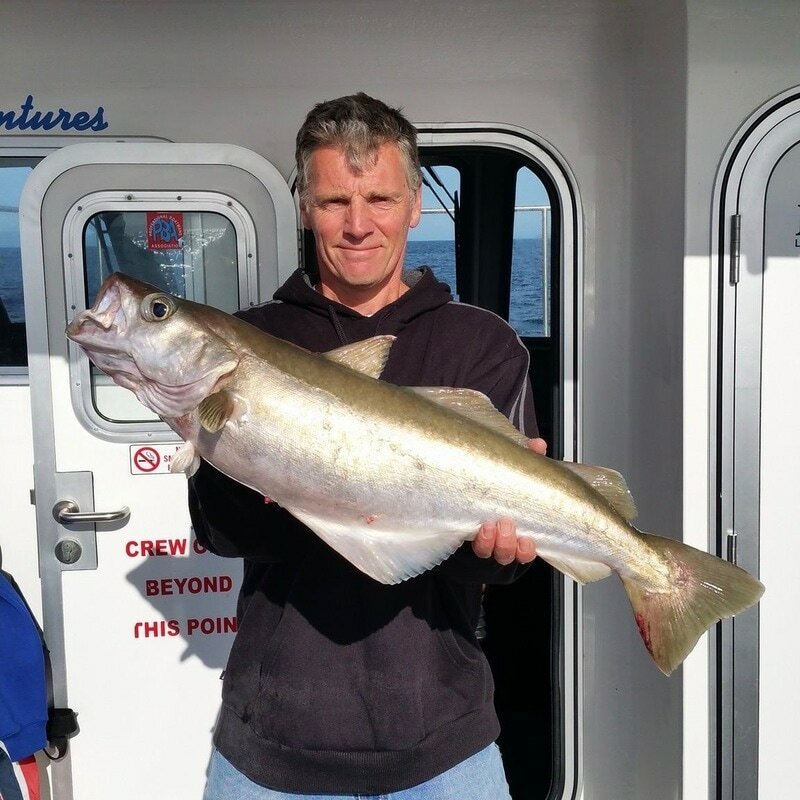 These fishing trips include deep sea wreck fishing for big winter pollack, fishing with red gills, sidewinders, and jelly worms. 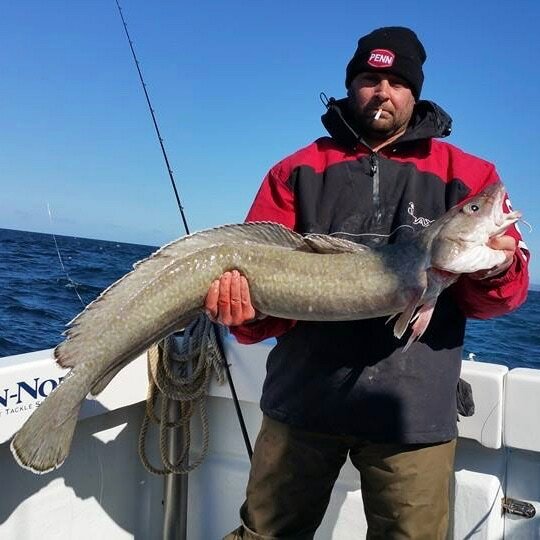 These trips produce big pollack, ling and cod. As well as the occasional coal fish (otherwise known as black jack or saithe). The winter wreck fishing technique is to stop the boat up tide of the wreck and drift through the fish working the lures from the sea bed bottom up 50 turns on the reel. Once a fish attacks the lure the line rips away from the spool giving real heart thumping action. We use light tackle on these trips. 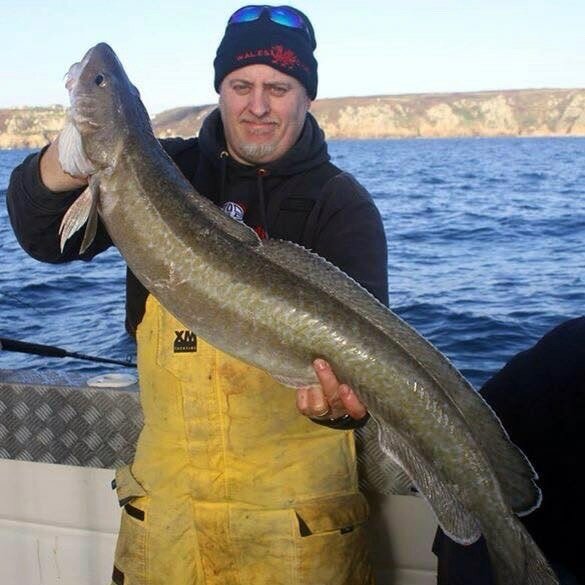 Winter boat fishing in Cornwall can also prove very successfull for cod ,haddock and whiting. 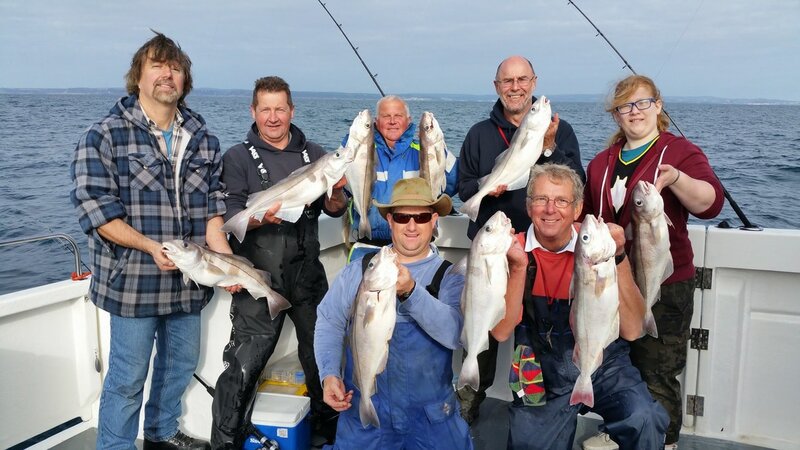 The boat fishing offers great sport trips with the fishing hot spots sometimes being as close to the harbour as 4 miles giving the angler more time fishing and less time steaming to the fishing grounds. The winter boat fishing trip is done with the boat on the drift or at anchor. When drift fishing a running ledger dragging the bait along the sand banks or beside a Wreck are the best method. This makes for one of the best bites in light tackle fishing. 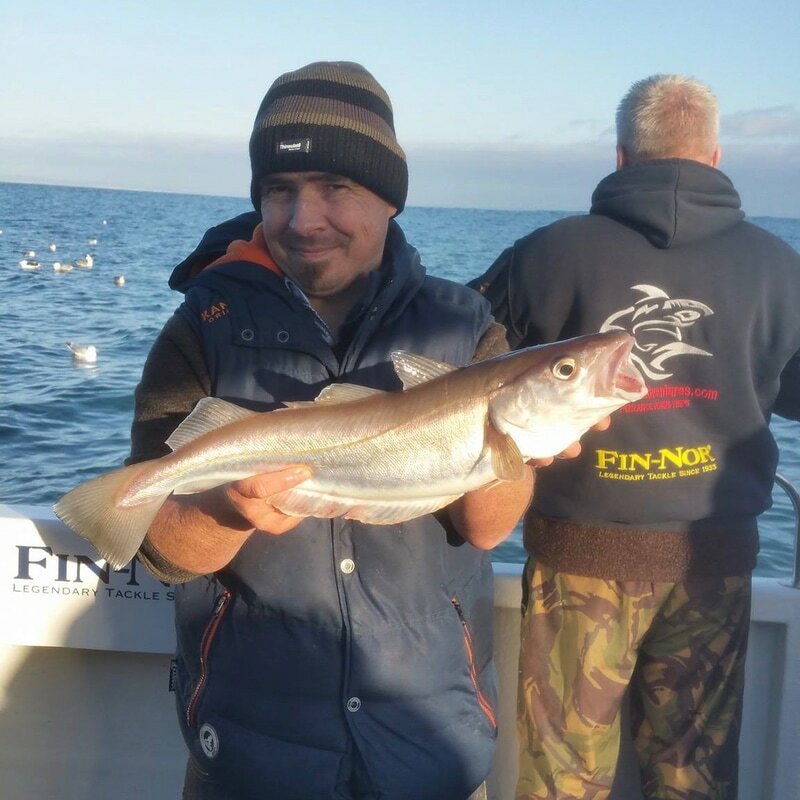 Haddock give one of the best bites in lite tackle sport, fighting and nodding their head all the way to the surface. 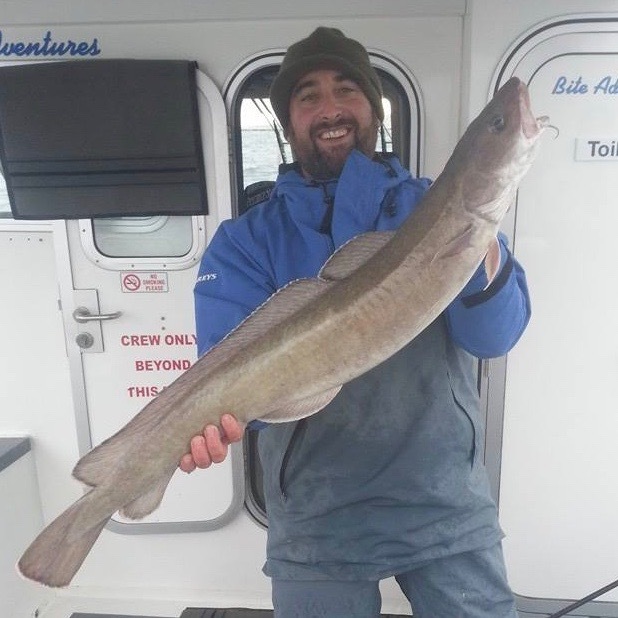 Trips in the winter are reguarly producing 3 figure catches of fish. 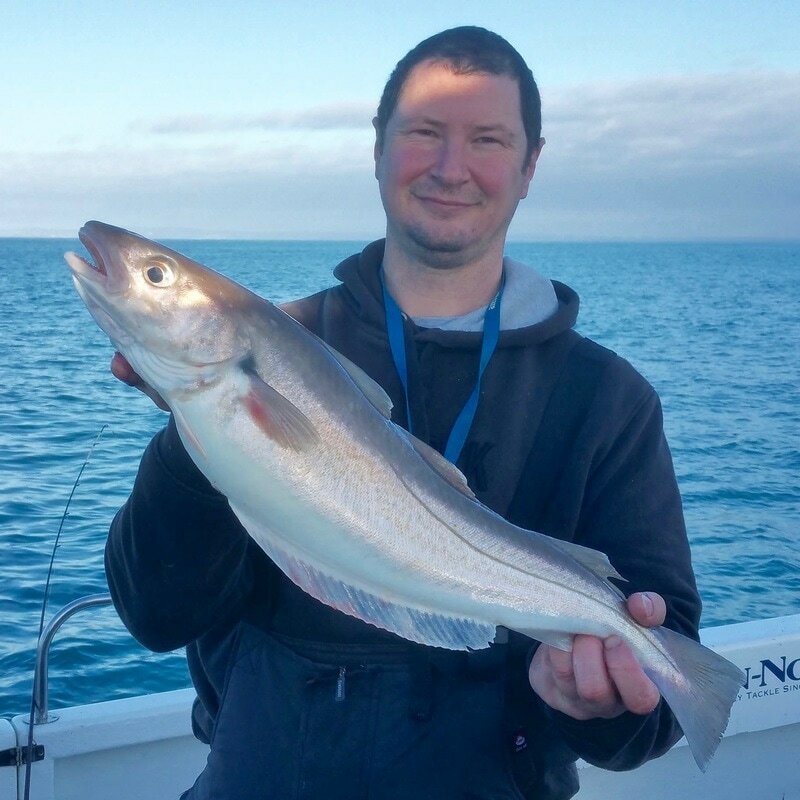 When boat fishing on the anchor we have the same catch rate, but we tend to Sand Anchor uptide of the wrecks in the bay and trot the baits back to the wreck, normally producing the bigger run of Haddock. 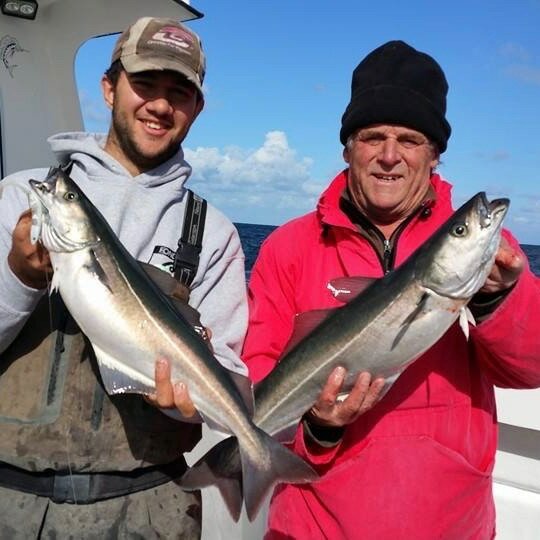 Also on both of these trips you catch a large amount of cod and Whiting. 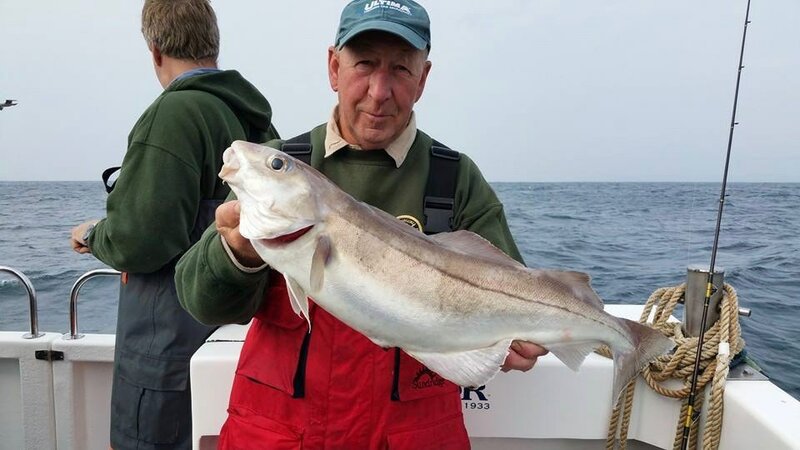 The Cod have made a big resurgence in the past 2 years giving the anglers some great rod bending sport. 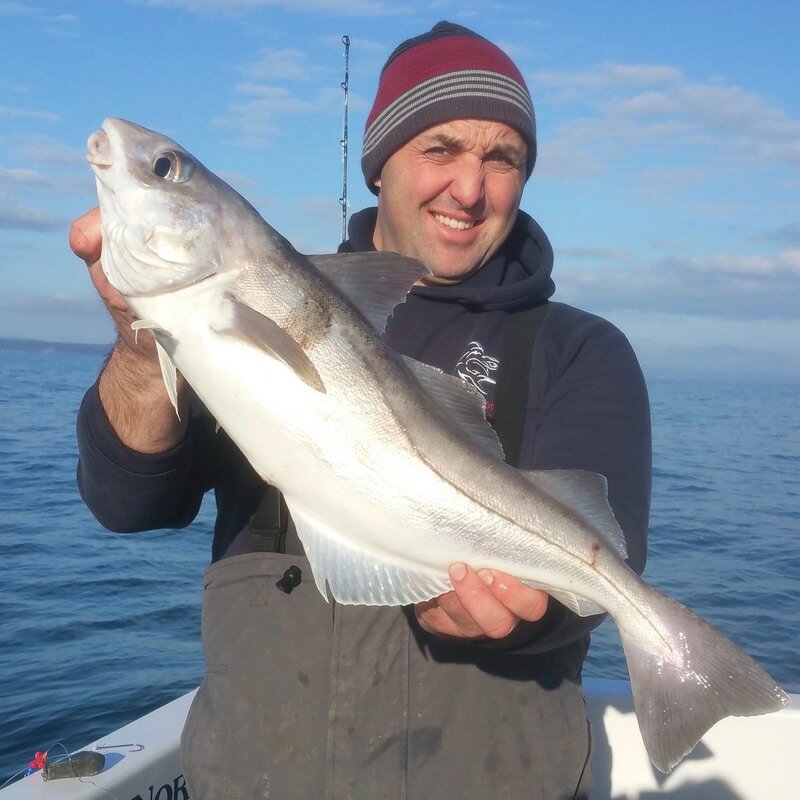 Not to many double figure fish at the moment but plenty of Cod between 2 and 8 pound. 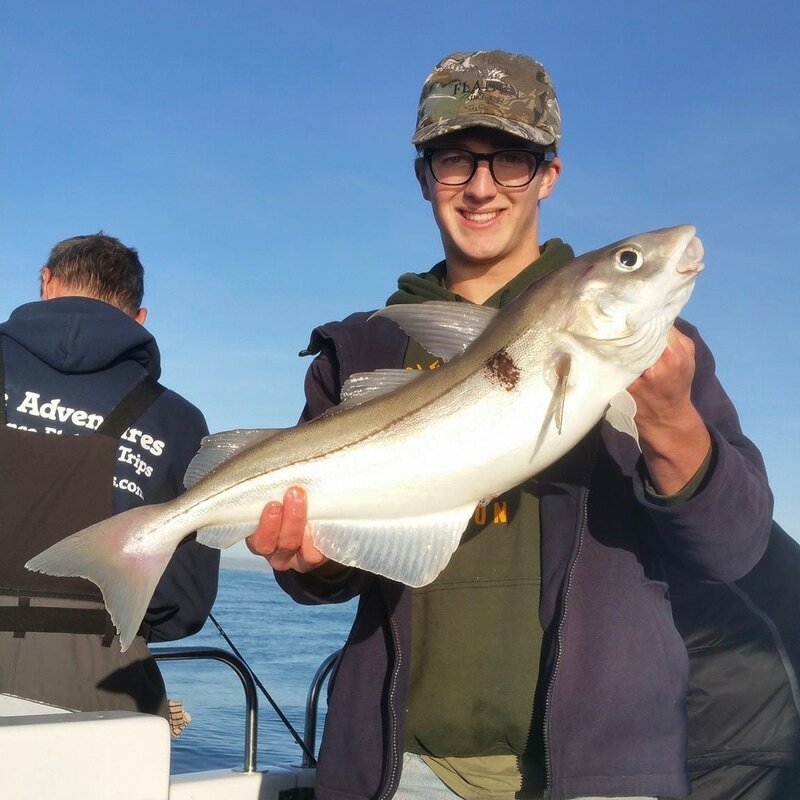 This gives some great sport again on light tackle, with 12 pound class gear being the favoured set up between the anglers. The Whiting seem to be on every piece of ground from one side of the bay to the other. 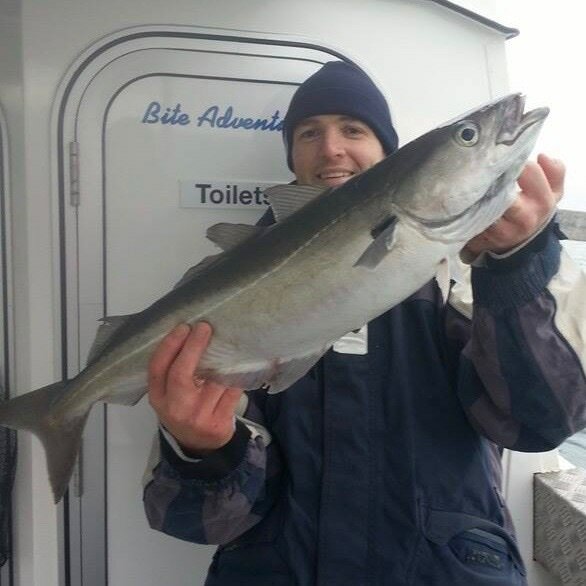 As a bonus on the winter trips we catch some nice lings. The best time for ling fishing but is late winter, early summer and through the summer months. Regularly catching fish past the magic 20 pound mark.